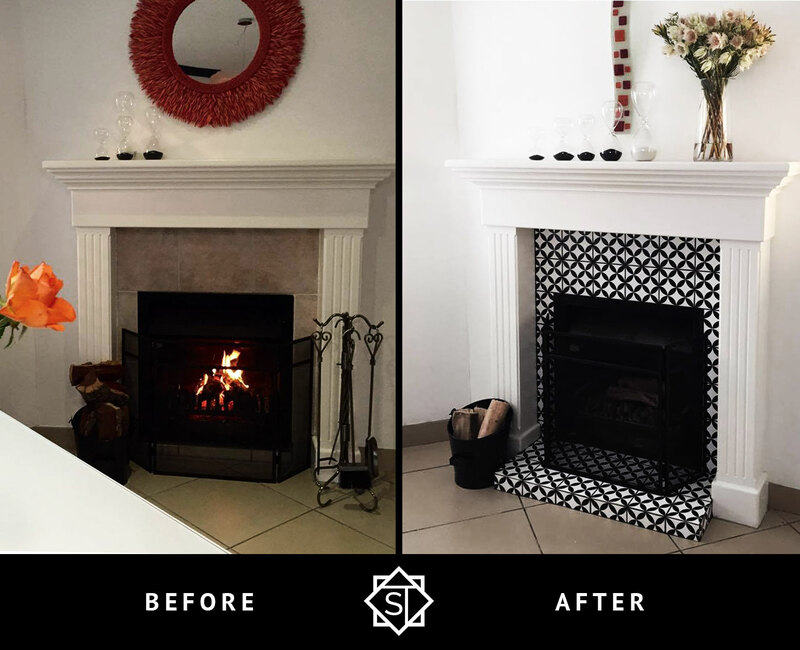 Thank you to our client Melanie, who sent us these before and after pictures of her transformed fire place. What we love about our clients, is their vision for our products in their homes. This is a great example of one of the many applications for our tiles. Fireplaces are usually a feature within a space, and making it pop with our Circled Flower design has just taken it to the next level.